After coming out flat against the Gee-Gees 24 hours earlier in Ottawa, Chu said her team needed to play with a sense of urgency and they couldn’t play afraid. She felt that her team played reluctantly in game two, putting them in a vulnerable spot against a desperate Ottawa team. 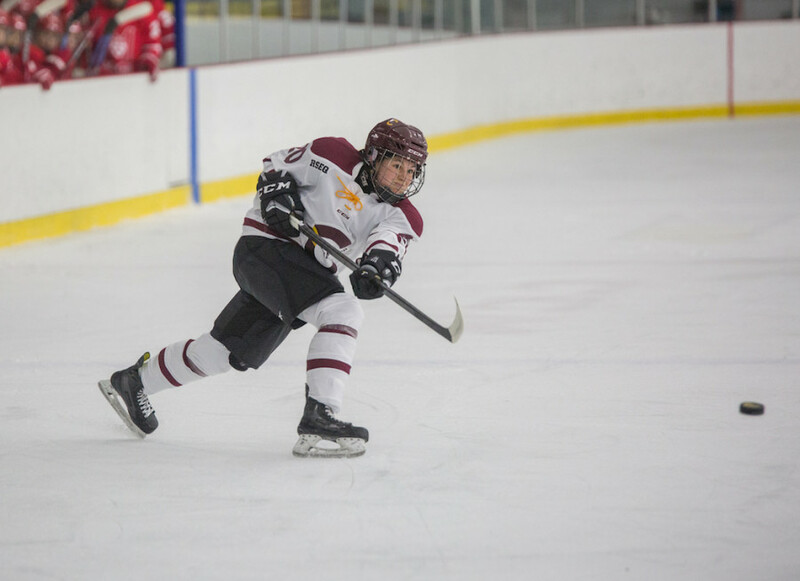 Chu likened her team’s play in game two to the 2015-16 Canadiennes de Montreal, who finished first place in the Canadian Women’s Hockey League before losing to the Calgary Inferno in the Clarkson Cup final. Related: The Stingers Move on to Next Round. Concordia’s first goal in game three was the embodiment of Chu’s assertion. Midway through a second period power play, team captain Marie-Joëlle Allard fired a shot towards Saturday’s hero, Ottawa goaltender Maude Lévesque-Ryan. The shot was stopped, as were the next four Stingers rebounds. Fittingly, the puck made its way back to Allard, who potted it, giving Concordia its first goal since Thursday. With the lead, the team needed to find some insurance. Towards the end of the second frame, Lidia Fillion, the Réseau du sport étudiant du Québec’s rookie of the year, snuck one past Lévesque-Ryan to double the lead. It was a crucial goal. Ottawa’s Taylor McGaughey cut Concordia’s lead in half early in the third period, giving her team the burst of momentum they’d been lacking all day. “It was a bit stressful when they scored in the beginning of the third,” said Allard. Concordia was without regular starting goalie Katherine Purchase, who was out of the lineup for undisclosed reasons. Alice Philbert made the start in her relief and was solid all game. Philbert said she only found out she’d get the start three hours before gametime. When her team needed a big performance, Philbert delivered. She stopped 18 of the 19 shots sent her way, including a hair-raising Gee-Gee onslaught in the game’s dying seconds. Allard would have been playing her final game as a Stinger had the team lost. 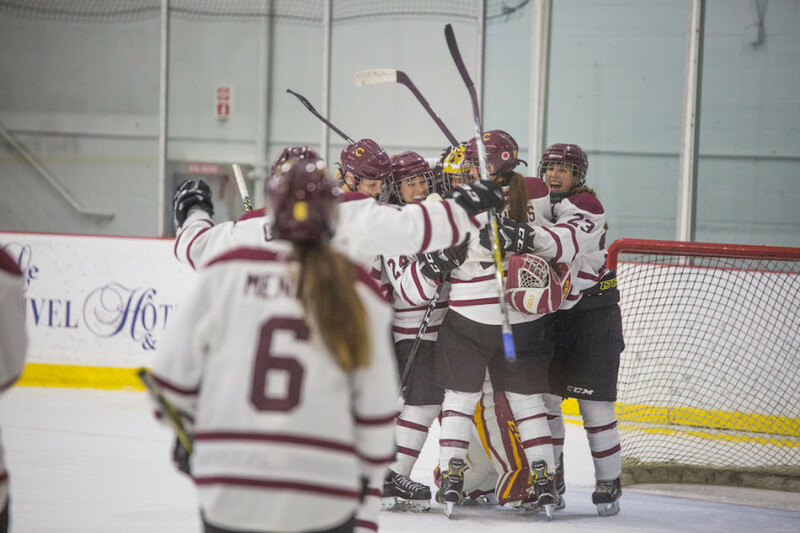 Instead, her team is headed for the RSEQ finals and have clinched a spot in the U Sports national tournament. Still, she hopes her team won’t get too far ahead of themselves. Related: Women’s Hockey Team Makes a Statement in Game One. The Stingers’ next task is more of a hill to climb than it is a step. They’ll be facing the Université de Montréal Carabins in the RSEQ finals, a team they’ve had nothing but tight battles with all year. All five of their meetings this season went to overtime, with Concordia winning the first three before dropping the last two. UdeM narrowly edged the Stingers for first place in the regular season standings. The series gets going Thursday night, 7:00 p.m at the CEPSUM.